If Chennai can claim any resemblance to an established alt rock scene in the city, a good chunk of that credit has to go to a band like Skrat. They have held out, survived the blizzards of lineup changes, a dearth of good audience and the hazards of taking a break in a very weak environment. They have taken their time to make music which screams in your ears that it’s Skrat, and nothing else: for example, take ‘Black Hammer Man’ or the ever-popular ‘Stay Wild’. Skrat is a band that has been courageous enough to take the time to find its own ‘sound’. And that’s exactly what the band did, with Skrat in the Shed. Skrat in the Shed is essentially a seventeen-minute, five song video showcase (see above) of Skrat playing five new songs, shot and recorded in front man T. T. Sriram’s ‘garage’, the jam room for many Chennai bands. Their first song “Tin Can Man” starts on a promising note with well-matched vocals and a foot tapping chorus. If that wasn’t enough to catch your attention, then the fast paced “Smoke a Cigar” grips it. The song is well-written and accompanied by catchy riffs, and the change of pace in the middle of the song is just brilliant. It does look like all songs were performed in one go, with only a few tight seconds for demarcation. After “Smoke a Cigar”, we settle down to a nice and leisurely “Big Bad Bombs”. At just about four minutes long, this track has some soulful vocals and restrained drumming to go with it. The next song “High” already seems like the next crowd favorite. Its low toned, deep and measured riffs sound like Tony Iommi cured of his lymphoma and back from his Sabbath-ical. 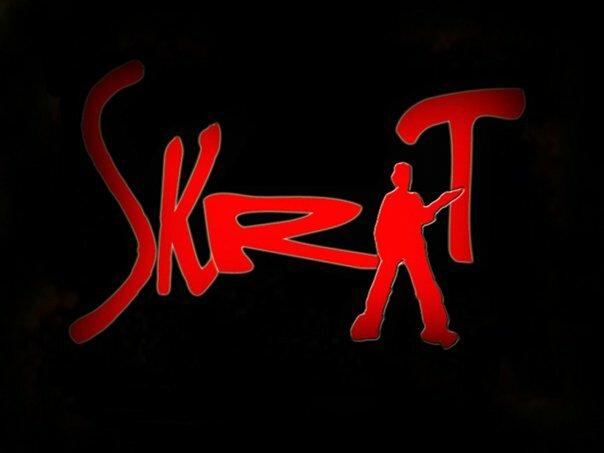 On Skrat in the Shed, it is this song that reminds us most about just how much Skrat has striven to evolve and mature, tired of everyone telling them how to play their music. This slow paced song, presented with elegant vocals and good bass, is sure to have your heads rocking slowly in harmony with its title. Bringing things to a fast paced end, leaving you craving for more is “Shake It Off”. Again, good guitar work does the trick here. Although old timers might question Sriram’s vocalizing of the lead tune, it’s still fun: and still Skrat in its own way. And what more, it worked with the audience which sang along when they performed at Alliance Francaise, Chennai recently. All in all, Skrat in the Shed is a great album (and a neat video) by Skrat. They look all set to hit the mainstream and play regularly to bigger audiences. You have to be very determined and lucky if you get to make a successful comeback and reinvent yourself in the process. And Skrat looks like they’ve given their all.